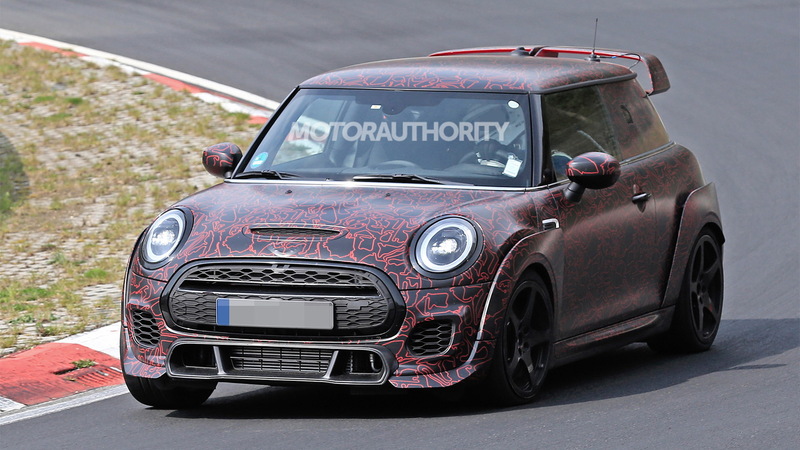 Mini has confirmed plans to launch a new John Cooper Works GP in 2020 and now we have the first spy shots of prototypes. 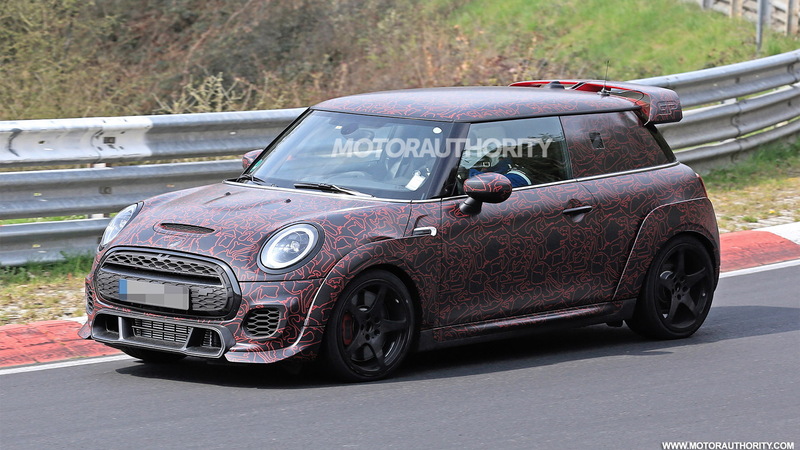 The JCW GP is a track-focused version of the Mini Hardtop, and the brand confirmed in January that the car will pack over 300 horsepower. 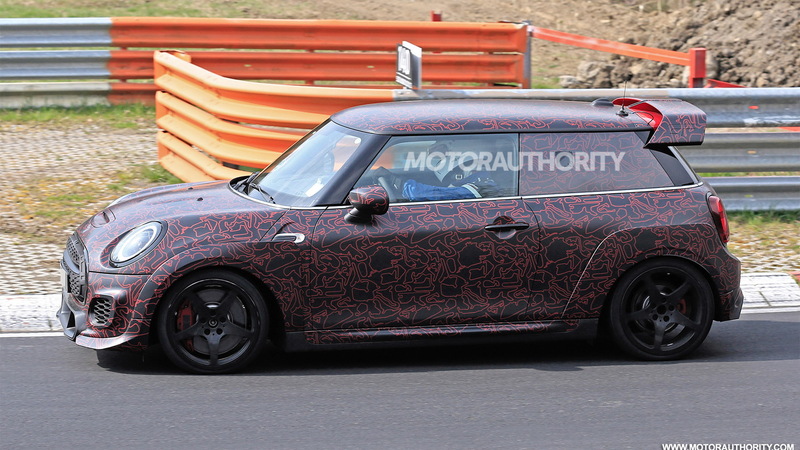 A concept was rolled out at the 2017 Frankfurt International Motor Show to preview the car, and judging by the prototypes in our spy shots, the production version will be virtually identical to the concept—right down to the oversized roof spoiler. The concept also wore an aggressive body kit, angrier front and rear fascia, and widened fenders, all of which we also see here. Carbon fiber helped shave weight, and the concept's stripped-out interior featured a roll cage and steering-column-mounted paddle shifters. We can also expect track-ready suspension, improved brakes, and sticky tires for the production model, not to mention a higher price for a limited-edition car. Just 3,000 units are planned for worldwide sale. 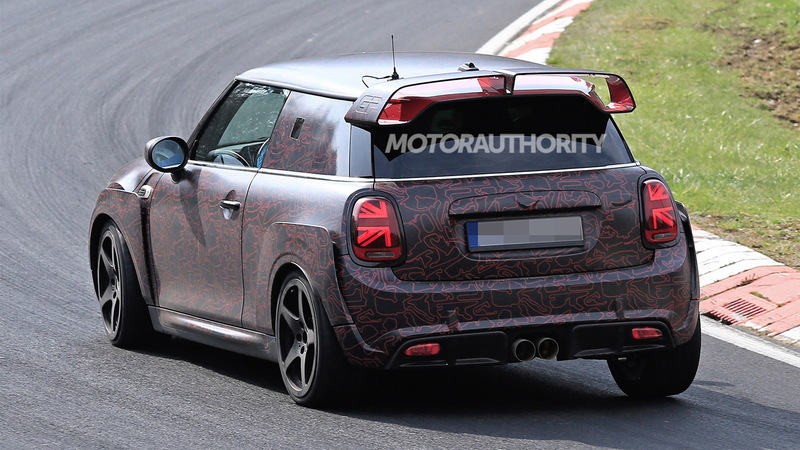 We can expect the JCW GP to run an uprated version of the standard John Cooper Works Hardtop's 2.0-liter turbocharged inline-4. The engine delivers 228 hp in the standard JCW model, but as mentioned above it will deliver over 300 horses in this GP. The GP badge signifies the end of a generation, and the new model will likely serve as a farewell to the current-generation Hardtop before a redesigned version arrives. The last time the GP appeared was in 2013, and it's only ever surfaced in Hardtop form. 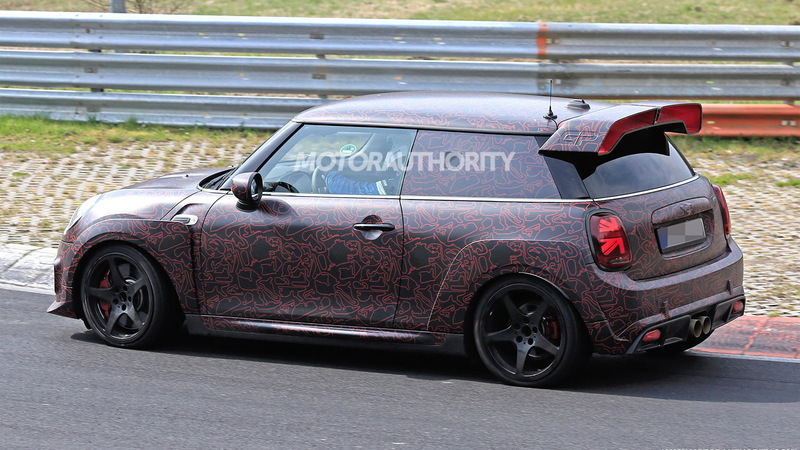 Before the GP's arrival, Mini will launch an electric Cooper S E Hardtop, most likely at this September's 2019 Frankfurt auto show. The GP should be revealed around mid-2020.